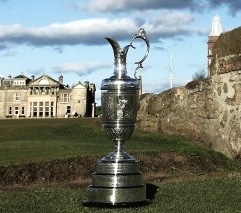 As widely anticipated, Sky Sports will offer exclusively live coverage of The Open from 2017 thanks to a new five year partnership with The R&A, in a move that sees coverage move from free-to-air coverage on the BBC after nearly 60 years to pay-TV. Sky Sports has been awarded the exclusive live rights to golf’s oldest Major from 2017, meaning viewers can enjoy a live golf schedule offering over 100 tournaments a year, including all four Majors, the Ryder Cup, European Tour and PGA Tour. Sky Sports aims to extend and enhance coverage of The Open, including live coverage of all four days’ play in their entirety across TV, online, mobile and tablet devices, allowing customers to watch wherever they are. Both new and existing golf fans will benefit from this partnership, which will enable The R&A to make investment in grassroots golf, and work with Sky Sports to excite and engage viewers through its coverage. The full schedule is available to those that subscribe to Sky Sports, to existing Sky customers for as little as £24.50 a month and also to non-subscribers through NOW TV, the UK’s leading streaming service available on 60 devices, which offers access to all seven sport channels for £6.99 a day or through a week pass at £10.99. The Open joins a schedule of sport on Sky which also includes Barclays Premier League and international football, ICC and England Test match cricket, Formula 1, England rugby union, the Ryder Cup, Major golf and US Open tennis. The new rights agreement also offers Sky Sports viewers exclusively live coverage of The Walker Cup in 2019 at Royal Liverpool.